On March 10, 2016, Leesfield Scolaro co-sponsored the Monroe County Bar Association luncheon honoring Appellate Judge Ed Scales. The overflow luncheon crowd warmly received Judge Scales’ analysis of recent appellate decisions. This event, which coincided with Spring Break, marks the 40th year founding partner Ira Leesfield has worked with lawyers and clients in the Florida Keys. Says Leesfield, “I was overwhelmed by the activity, congestion and crowds surrounding Spring break in the Florida Keys.” “Unfortunately, drinking, combined with driving, mopeds, bicycles and all water sport activities, is not always a safe combination,” noted Tom Scolaro who recently obtained a $41 million verdict against a local resort for negligent security. Ira Leesfield‘s career began in Key West with a $2 million medical negligence recovery against a Florida Keys hospital, followed by a $2.1 verdict for a motor vehicle/moped collision (Kemp v. AMR). In addition to settlements for medical malpractice, negligent security, water jet ski and boating safety, moped, bicycle and street safety, Leesfield Scolaro holds record verdicts for settlements in Key West and throughout the Florida Keys. These results include the crash of a tourist stunt plane in Marathon, resulting in the death of a young mother with two children. Following catastrophic injuries to bicycle and moped operators, the firm has aggressively pushed the “Share the Road” campaign, as well as supporting Mothers Against Drunk Drivers (MADD) and boating safety. Managing Partner Ira Leesfield chairs the national Resort Torts Litigation Group advocating protective measures and ideas for tourists and travel related injuries. 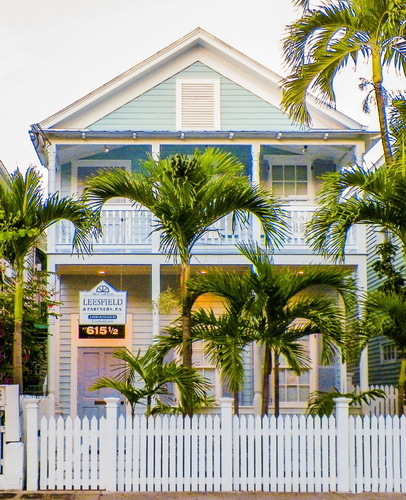 Between cruise ship passengers, Spring breakers and an overwhelming number of international tourists, the number of visitors to Key West now surpasses over three million annually on an island with 22,000 permanent residents. For its entire Key West history, Leesfield Scolaro has supported various community activities including the Marques Butler Memorial Softball Tournament, the annual Monroe County Bar Association luncheon in conjunction with the firm’s Conch Fritter Party, as well as support of the Key West High School athletic programs and the MCBA “Justice for All Crawl” 5K annual race which provides scholarships to local high school students who are interested in the legal profession. Recently, the firm brought a wrongful death suit against a local boating excursion company for failure to provide proper snorkeling and water safety instructions, a proper lookout, proper supervision and training as well as violation of snorkeling standards. At the same time, jet ski, motor boat and scuba diving incidents continue to rise as do parasailing and other recreational activities. Leesfield Scolaro remains at the forefront of tourism, travel and resort safety. Tagged: "Ira Leesfield", "Judge Scales", "Key West Attorney", "Key West Lawyer", "Key West Resort Tort", "Leesfield Scolaro", "Monroe County Bar Association", "Monroe County Personal Injury Lawyer" and "Tom Scolaro"